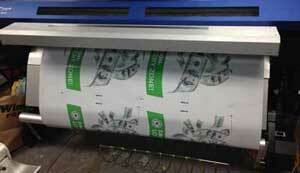 Can We Print It … Yes WE Can! Got A Cool Idea? Contact Us To Make It A Reality. Promote your brand with a set of distinctive business cards for your new business, or guide visitors with clear signage to the various departments in your building. Banners are a powerful tool in helping your business get noticed. With our full line of signage and banners, KolorKraze can customize each one to meet your size, shape, or design needs. If you are looking for signs for your small or medium sized business, you've come to the right place. KolorKraze provides exceptional promotional printing and much more. Promote your brand with a set of distinctive business cards for your new business, or guide visitors with clear signage to the various departments in your building. No matter the scale, KolorKraze can help you increase visibility in a way that reflects your personal style or needs. 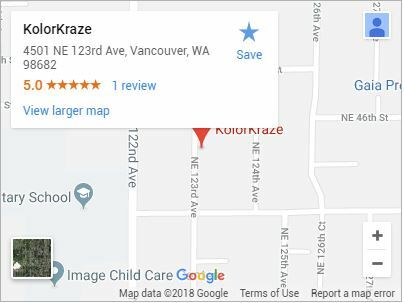 For over a decade, we have been exceeding expectations by making local, cutting-edge promotional and informational materials easily accessible for residents of Vancouver, Washington and the surrounding areas. Building relationships through quick delivery and the ability to solve any printing-related challenge is our number one goal. Most of our business is word-of-mouth, and those clients have been with us for years. 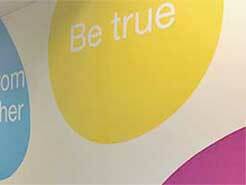 They can attest to our commitment to producing printing solutions for a variety of large and small-scale projects. Our specialties are wide-ranging, so don’t hesitate to ask if we can help bring your idea to life! 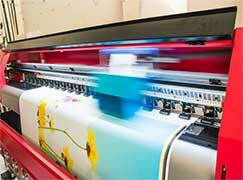 Submitting a big order for material from a printing company online can leave a lot of questions unanswered. And once the product arrives in the mail, it may be too late to correct any mistakes. Once you submit your file through our online form, we communicate with you to eliminate these kinds of miscommunications and mistakes. At KolorKraze, we get to know our customers. Taking projects from concept to completion with the latest technology, exacting detail, and no guesswork. 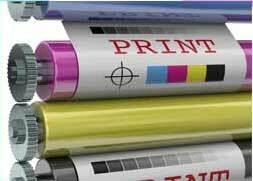 We offer free estimates and 24-hour turnaround time for printing in Vancouver! Our graphics team makes sure to ask the right questions at the beginning so there are no setbacks during the design and printing process. This helps us deliver quality prints on tight deadlines and on budget.